Casting Call Club : Final Night Auditions! Casting Call for Final Night Auditions! (Sleeping) (Wakes up) Huh? 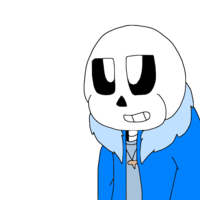 (Looks behind the tree) *Gasp quietly* (Hides) (Curious) Sans? What are you doing? (feeling guilt) welp…..Sorry little freak…. This is why I never make promises! (snap/angry) You dirty buddy killer! 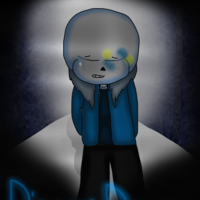 (After he got hit in the fight) *hurt panting*..... (he saw ghostly looking Sans, Night Terror Sans smile,hurtful. Breathing slowly) Sa-..Sans...do...y-you w-want...anything…? Goofy and lazy, Can be funny almost every minute, but serious sometimes. (Normal) Oh, heya kid, Whatcha ya doin' here? (Curious) Oh? You wanna hug? Uh... okay... Prepare for a hug, kid!